I’m sure you know that translating keywords from one country and language to another is a big no-no, but do you know what you need to do instead? For international businesses, it is really important to adopt a holistic, 3D approach when it comes to international keyword research. 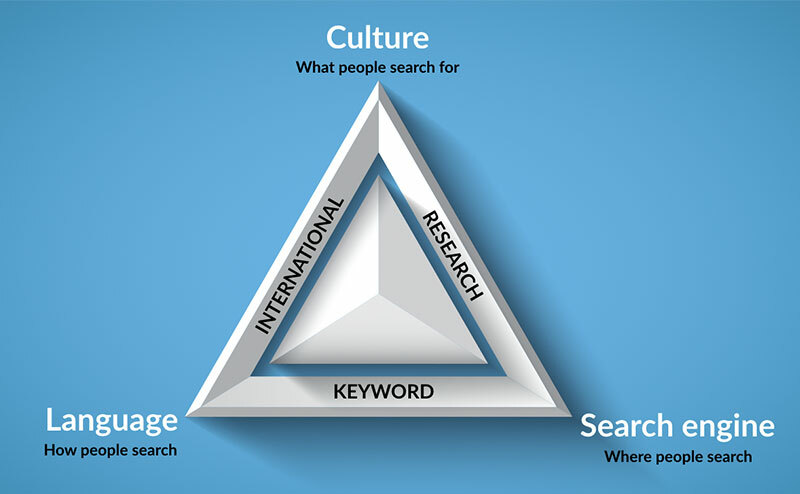 This consists of incorporating three dimensions in the research phase: culture, language, and search engine. Let’s take a closer look at each one of these. The cultural dimension refers to what people search for, as cultural factors influence the way people formulate online queries. Culture defines the social structure of the environment you live in, and the way in which you perceive the world. To make an example with people searching for the term ‘chair’ online, in Google (English settings) 60% of total search volumes are about the shapes/style of the chair. However, 40% of the results in Baidu for the same term are about an action — what you want to do with the chair. Remember that differences also exist at a national level. This dimension refers to how people search — how they phrase their queries— which is determined by their language structure. 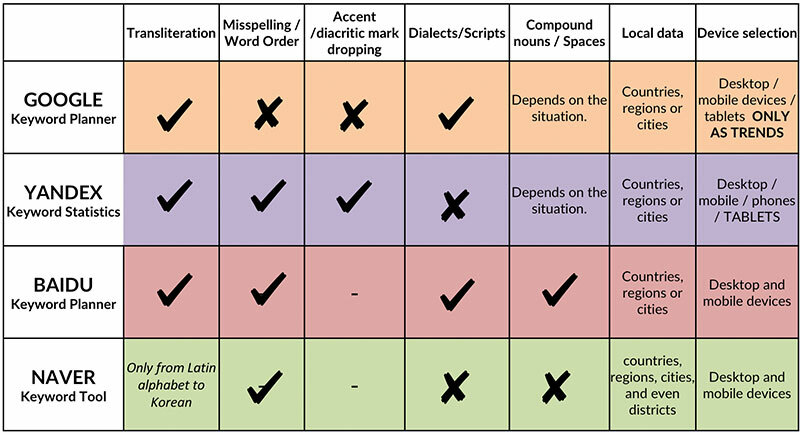 Sometimes users split compound nouns when searching online, misspell words, or drop accents. When carrying out international keyword research, it is therefore important to check volumes for both versions of a word. Having said this, you should always check your copies with an experienced native linguist before including incorrect versions of words, as you may be targeting terms with completely different meanings. It is not advisable to misspell words on your website in the hope of attracting more traffic, but bidding on both the correct and incorrect forms when it comes to paid search campaigns could be a successful approach for some languages and search engines. This dimension refers to where people search. Search engines were first designed for a specific market, and often language. 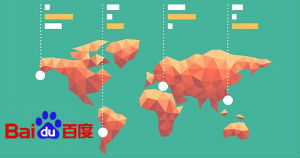 As a result, they behave differently with different languages, and they each have their own unique keyword tool; some of these are the Google Keyword Planner, Baidu Keyword Planner, Wordstat (Yandex), and Naver Keyword Tool. 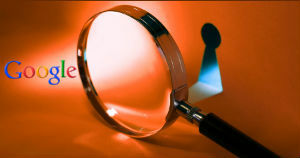 These will help you to find the most accurate keywords for your campaign, but bear in mind that different ones return different information and suit specific contexts. Here again a native linguist will be able to help you make the most of the appropriate search engine for your international campaign.